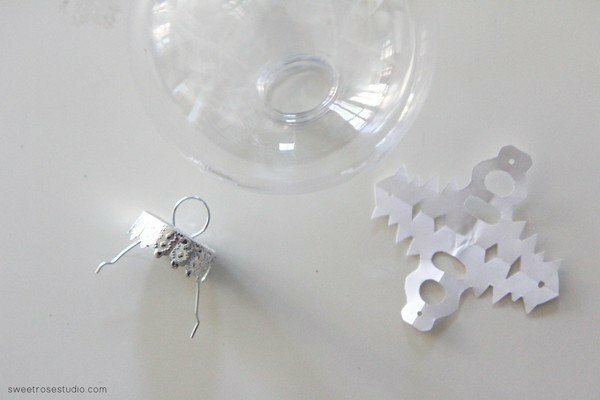 You’re going to LOVE this DIY Floating Snowflake Christmas Ornament! 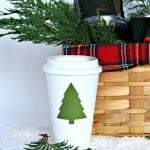 Welcome to the Creative Girls Holiday Soiree where many of my favorite bloggers are sharing all things Christmas! 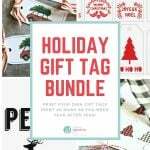 You’ll gather inspiring ideas for holiday crafts, gift ideas, recipes and more! Today is Katie from Sweet Rose Studio! 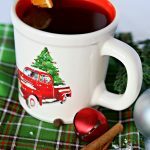 She’s sharing a step by step tutorial for a DIY Christmas Ornament. 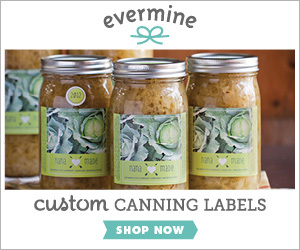 What a great craft for decorating, gift giving or craft time! Hi y’all! 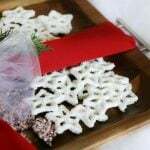 I’m Katie from Sweet Rose Studio and I’m absolutely thrilled to be here to share a fun Floating Snowflake Christmas Ornament idea that I’ve put together. This literally can go together in less than 10 minutes and you can get your kids involved in the process, too. It’s a holiday miracle! 1. 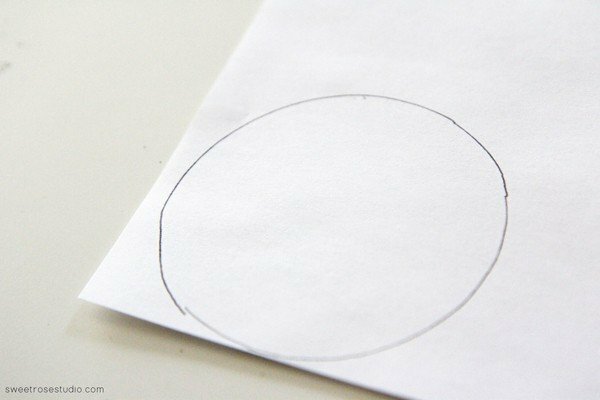 Use the cup and pencil to trace a circle approximately 3 inches around on the copy paper. Cut the circle out. 2. 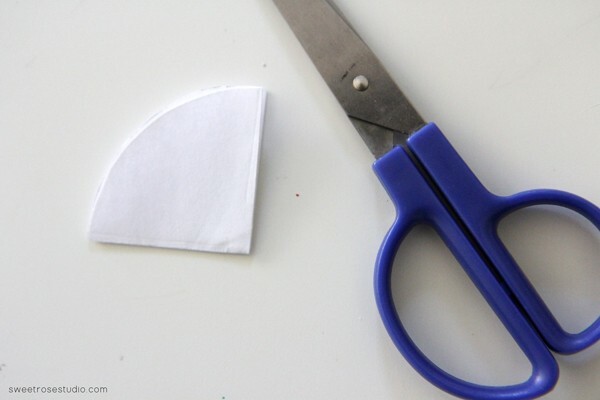 Fold the circle into quarters and crease each edge really well. 3. This is where the kids can take part or you can choose to do this on your own. 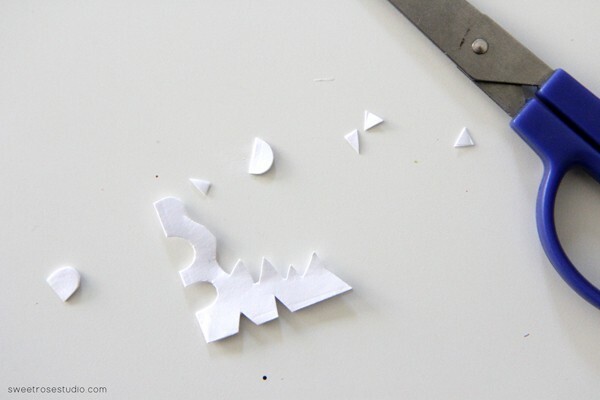 Use the scissors to trim on each edge to create a snowflake. Get creative! 4. 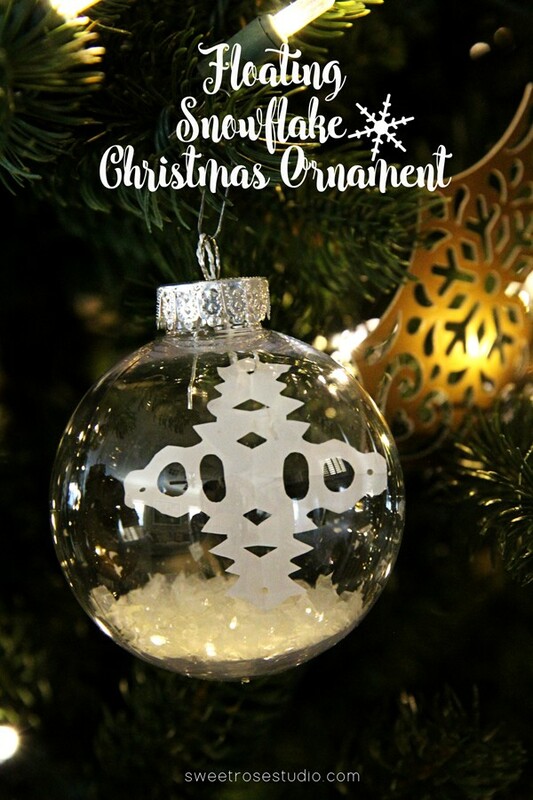 Remove the cap from the ornament. 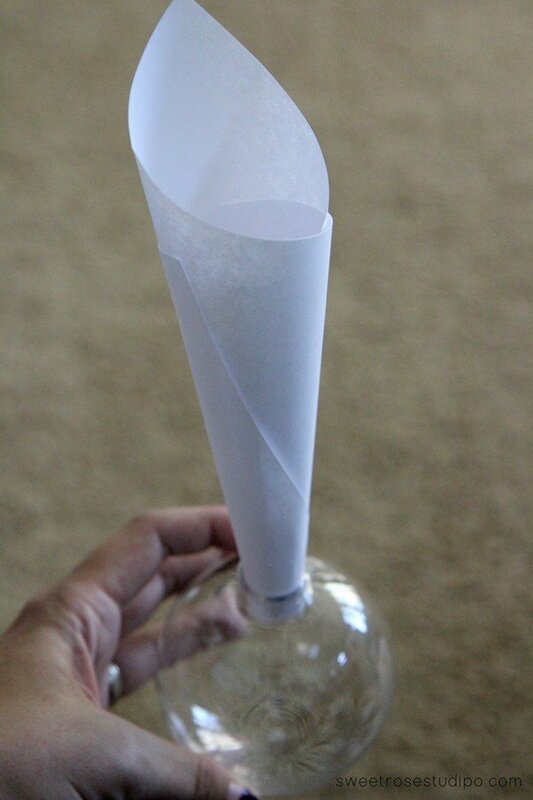 Use half of the sheet of copy paper to create a funnel to pour the faux snowflakes through. 5. 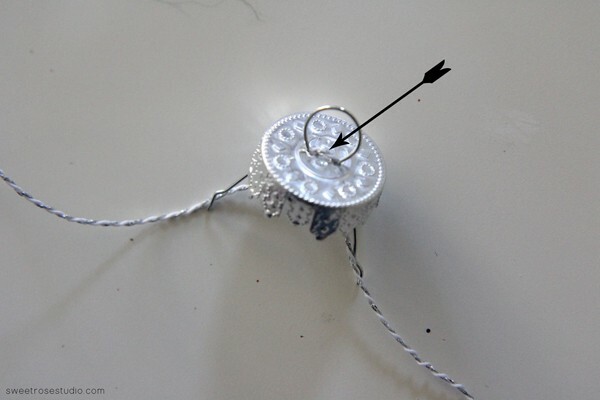 Carefully string the twine or fishing line through the small holes in the cap of the ornament. I like the twine myself because it isn’t as curly as fishing line and it blends nicely with the ornament cap. 6. Tie the ornament to the cap with the twine. 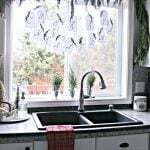 Trim any excess twine that may be left over. 7. 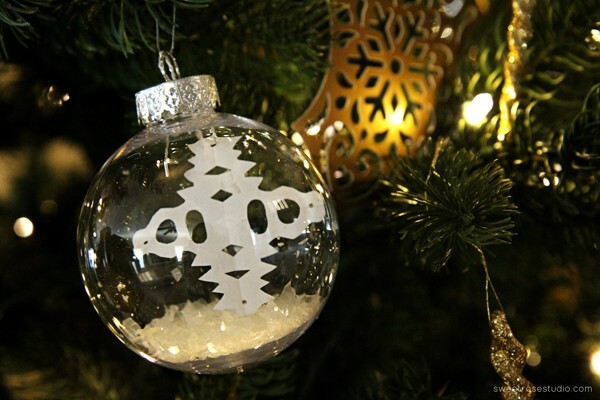 Carefully curl the snowflake, insert it into the ornament, and replace the cap. 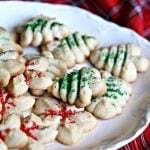 Hang your ornament on the tree and enjoy! Thanks so much for having me here Kim! It’s been a blast! Since 2007, Kim has been sharing tips and tutorials on how to live a creative life. Owner/Founder of Today's Creative Blog and InspirationDIY.com where inspiration happens everyday! 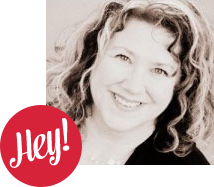 From the Pacific Northwest, Kim is a busy mom who adores her teen son, her middle aged husband and is constantly wiping the muddy paws of her adorable Labradoodle Maybelline. In her spare time, she teaches fitness classes and loves to decorate with thrift store bargains. You can also find Kim once a month on Portland's AMNW Morning show as their "creative expert". Life is more fun when it's creative! 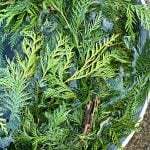 Get all the latest DIY information straight to your inbox! Since 2007, Kim has been sharing tips and tutorials on how to live a creative life. Owner/Founder of Today's Creative Blog and InspirationDIY.com where inspiration happens everyday! From the Pacific Northwest, Kim is a busy mom who adores her teen son, her middle aged husband and is constantly wiping the muddy paws of her adorable Labradoodle Maybelline. In her spare time, she teaches fitness classes and loves to decorate with thrift store bargains. You can also find Kim once a month on Portland's AMNW Morning show as their "creative expert". Life is more fun when it's creative! Kim has been dishing up a creative slice of life since 2007. Today’s Creative Life brings simple and creative ways to celebrate the everyday. 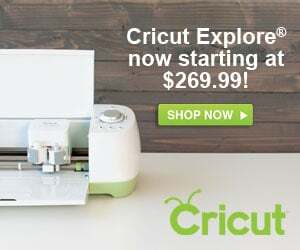 You’ll find practical, stylish and clever decorating ideas, diy projects, delicious family friendly recipes, free printables and more. 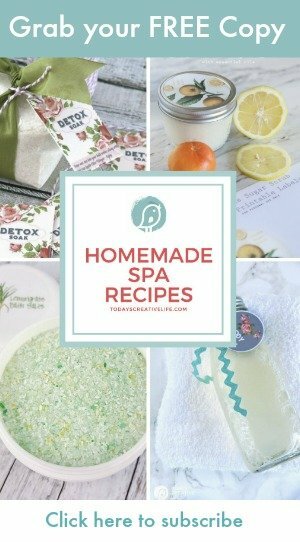 Grab your free copy of my How to Make Simple Spa Recipes guide! 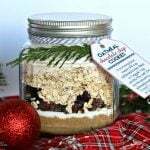 You'll receive a weekly email with my favorite DIY, Recipes or products. You'll also gain access to The Printable Vault.